Tight (IGTimes), Phase 2 Art Director, poster centerfold, Issue 12, 1991. Side A: full color offset on glossy paper; Side B: black and white offset on glossy paper, 22 x 17 in. In addition to complete sets of IGTimes, Gallery 98 is also offering for sale four individual IGTimes pages. Although widely disparate in design, all copies of IGT were printed as double-sided sheets measuring 17 x 22 in. These pages were then folded like maps and in most cases their design reflects the folded partitions. In a few instances pages were conceived as single entities so they could be unfolded and hung as posters. It is these poster-style pages that we are selling here separately. This is the centerfold for issue #12. With the arrival of Phase 2 as art director in 1986, IGTimes grew in ambition and popularity. Issues expanded to include multiple pages, some printed in full-color. Phase 2 introduced a cleaner and more legible design without undercutting density and dynamism. 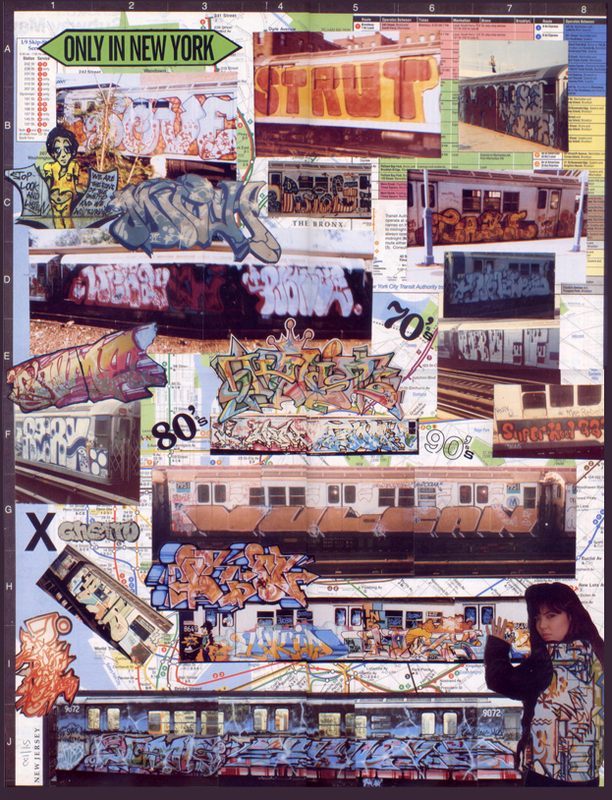 This photomontage paying tribute to New York subway art of 1970s and 80s was made at the very moment (1991) when the art form was declining because the MTA began to graffiti-proof the trains by buffing them. 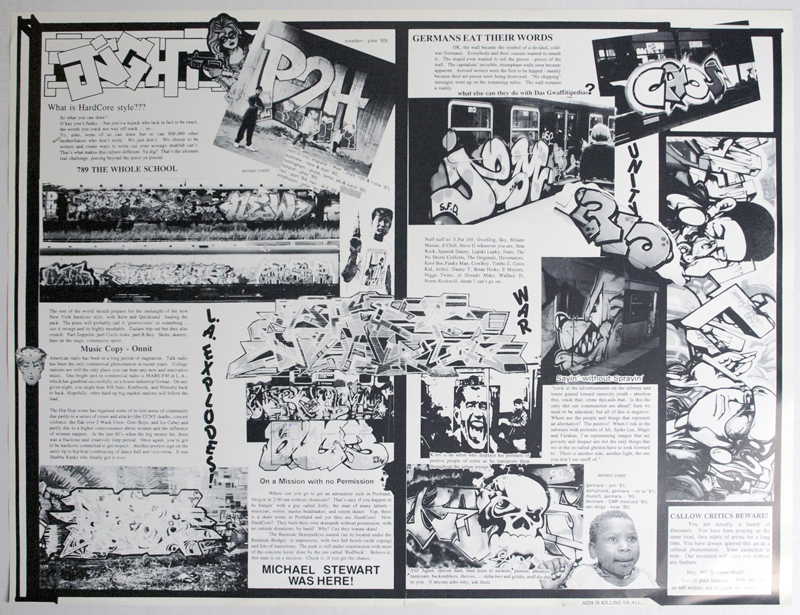 As a result, IGT issues from the 1990s mostly featured art from outside New York City, like the pictures of subway art in Germany on the reverse of this centerfold.